Bacolod called "The City of Smiles" is the capital and the largest city of Negros Occidental. Bacolod is the only city that wins a grand slam being the most cleanest and greenest city in the Philippines. Home of the world-renowned "MassKara Festival" and Pana-ad Sa Negros Festival". Bacolod is rich in cultural and architectural heritage. It has many marvelous landmarks that was constructed in the time of Spanish regime but until now it is still standing. Bacolod is also the home of the Panaad Park and Stadium. The Stadium has a seating capacity of 15,500 but can hold up to 20,000 people with standing areas. The stadium is equipped with an olympic size swimming pool and a rubberized oval field. Bacolod is the entrance to the sugar-rich cities, towns of the province because the seaport and airport can be found here. Bacolod can be reached by boat and by plane. It is only 50 minutes away from Manila and 25 minutes from Cebu by plane. Bacolod is highly urbanized city with a superb road that is wide. Traffic is not a problem in Bacolod. There are luxurious hotels and resorts in Bacolod where you can spend your holidays. Bacolod has many landmarks and attractions to boast from. Scenic views around the city that are so enchanting, from old mansions to churches and cathedrals, monasteries, parks and buildings built centuries ago. 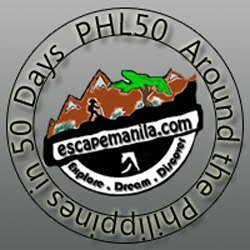 How to go to Bacolod? The easiest way to travel from Manila to Bacolod is by plane. Airlines such as Philippine Airlines, Cebu Pacific, Air Philippines and Zest Air have daily flights to and from Bacolod. The flight is for about 45 minutes. The new Bacolod-Silay Airport is 20 minutes to and from the Bacolod downtown. Housed in the ancestral home of Raymundo L. Dizon and Hermelinda V. Ramos. The house which was built in 1950 was converted into a museum in 2007. It houses the collection of pictorial reproduction, artworks by famous artists, and personal collections of the children. The Museum located at Lacson-Burgos Sts. Is open Tuesday to Sunday from 10AM to 4PM. Entrance fee Php10 for students with IDs,Php30 for adults. Built in 1876 upon the initiative of Fr. Mauricio Ferrero, a Recollect friar. It became a cathedral in 1933 is one of the century -old churches found in Negros Occidental. Located in Barangay Mansilingan near the boundary of Barangay Alijis, this 25-hectare sports complex and park is known to be one of the best in the country and has already been host to a lot of national sport events. It has a rubberized oval tract, an Olympic-size swimming pool and other sports facilities. Its unique feature is the replica of the landmarks of the 13 cities and municipalities of Negros Occidental. A breeding and rescue center for endangered and endemic animals found in Negros Island as well as other places in the Philippines Visayan spotted deer, Luzon bleeding heart pigeon, Philippine Visayan Tarictic hornbill, Philippine hawk-eagle, monitor lizard, Philippine serpent eagle and the sailfin lizard. Tel. No. (034) 433-9234. Only a 30-minute ride from the city proper, this amazing resort is a product of both man and nature. Just a 45-minute ride from the city proper. A perfect place for day-trippers and those who want to stay longer. If you want a more private haven, away from the hustle and bustle of city life, then your summer match is the Punta Bulata Resort. This is located in Cauayan, which is in the south, three hours from the city proper of Bacolod. Dubbed as the “Summer Capital of the Island”. This summer destination includes a long stretch of amazing beach resorts. They are the Bermuda Beach Resort, Driftwood Village, Takatuka Beach and Dive Resort, Langub Beach Resort, Sulu Sunset Beach Resort, and the Fiesta Cove. The closest to the northbound of Bacolod is the garden paradise of Nature’s Village. Only 3.5km away from the city proper, this rustic country-style setting is your best choice if you want to have a summer with nature while remaining close to the city. This is literally a white sand bar at the north, an hour & a half drive from Bacolod City proper. This tongue-shaped island is home to the Sagay Marine Reserve. So, Carbin Reef is definitely best experienced when snorkelling or diving because it is an amazing marine sanctuary. Inaka Restaurant and Sushi Bar– Located along 21st Lacson Street in Bacolod City, Inaka Restaurant and Sushi Bar is obviously a nice, cozy, and inviting food service provider that specializes in delightful authentic Japanese cuisine. Imbiss Bacolod – Situated at 5th Road Burgos Street in Bacolod City, Imbiss Bacolod is a small restaurant yet with a highly inviting, cozy, and relaxing atmosphere. Generally, the place takes pride on serving a variety of heavenly international cuisines, while specializing on delectable sausages. Bacolod Cozy Nook – Bacolod Cozy Nook is true to its name. It is a cozy food hub that serves good food, alright. Located in 15th Lacson Street, it is one of the best places to go to while visiting the beautiful City of Smiles, Bacolod. La Finea Negrense – If you want fine dining, Negrense style, take a trip to La Finea Negrense. Located in Lacson Street, this local attraction serves a variety of native dishes that will surely make you love the province of Negros and the city of Bacolod even more.